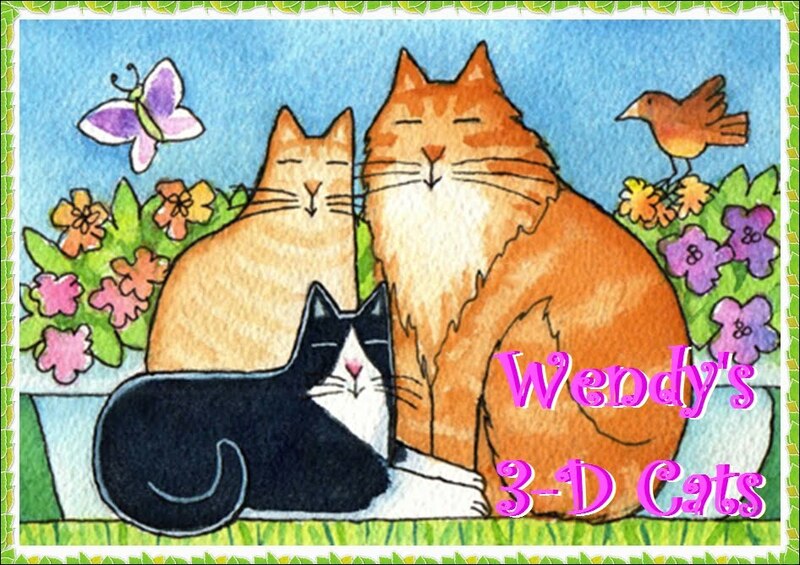 Wendy's 3-D Cats: 3-D CATS IN HATS MARCH ON! The 3-Ds are heartened by slightly warmer tempurratures and sunny skies. 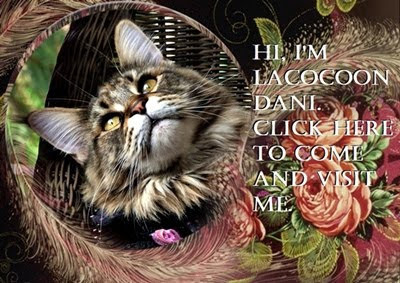 Dante's on the lookout for Spurring in his blue-gray cadet hat and denim neckerchief. "I kin keep an eye out for Spurring and doo sum birdwatchin' at da same time!" says he enthusiastically. And this little guy is sure getting a kick out of Dante watching him! Dylan isn't too confident that Spurring is on its way. 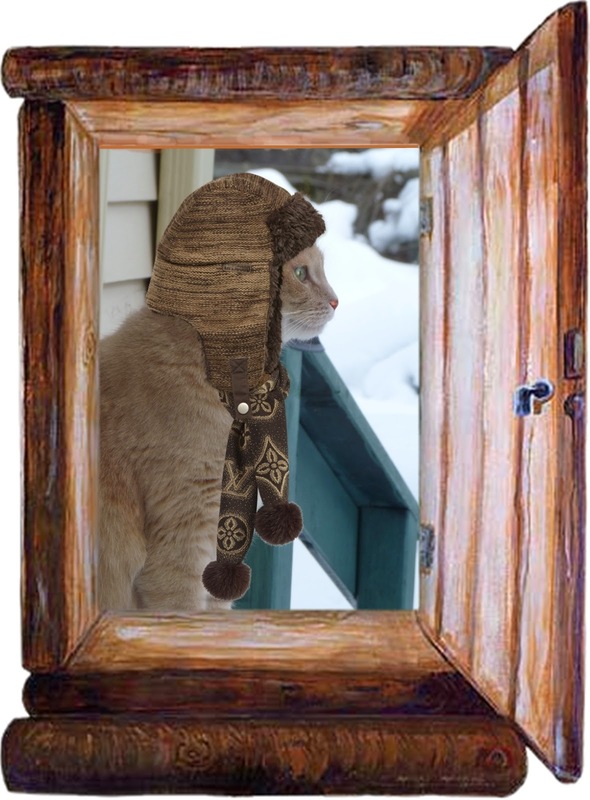 He's hunkered down in a brown woven trappurr hat and a matching snowflake scarf with pom-poms. "I'll beleeves it wen I ackshully sees it", says he. "Until den I'll jus' dream about it." And what a dream it is! Domino is much more optimistic. "I do beleeve dat Spurring is down da street an' around da cornah! 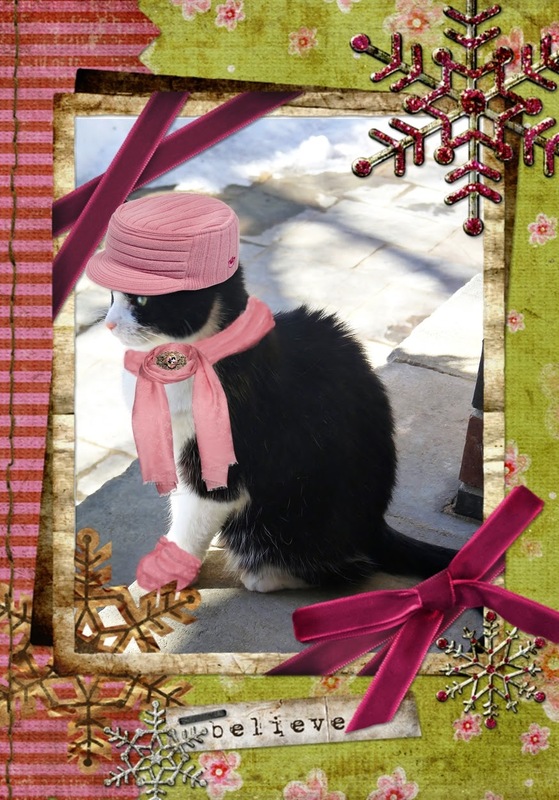 ", says Domino wearing springlike pink. 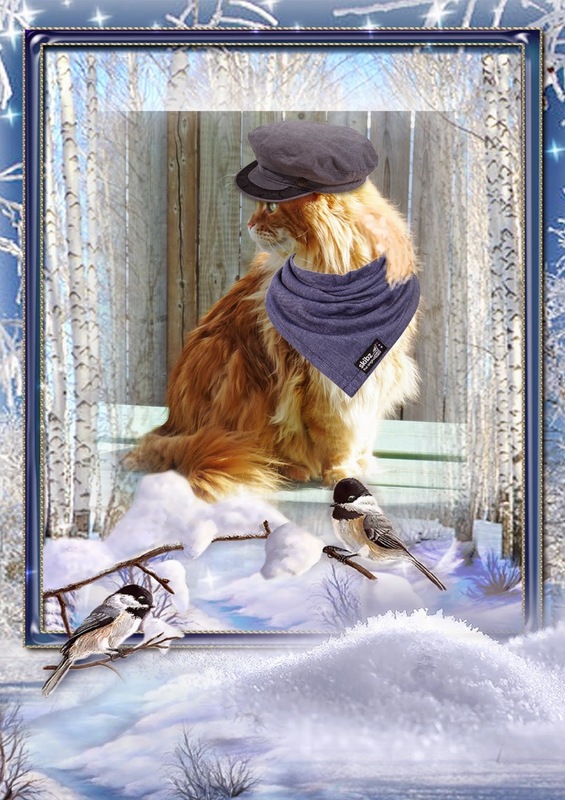 She has on a knit cadet hat with coordinating scarf fastened with a tuxy brooch. She's also sporting little pink mittens to keep her forepaws (well, only two, actually) toasty. And if you can see around corners, you just might see this!